The hotel will be built opposite the Jerusalem Theater. 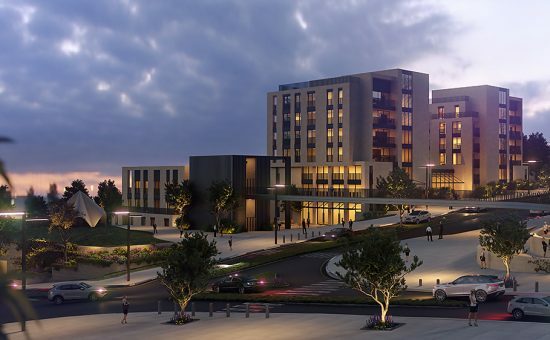 The Jerusalem Municipality’s local planning and building committee approved the construction of a new hotel – “Mishkenot HaTeatron” – in the Talbieh neighborhood on Chopin Street, opposite the Jerusalem Theater. The committee allowed the construction of a hotel of about 76 rooms alongside 42 housing units for residential purposes (above the hotel), combined with commercial areas and open public space. Recently, two new hotels were opened in the capital: new: IBIS STYLES on Ben Yehuda Street with 104 rooms and LADY STERN on Jaffa Street with 194 rooms. The municipality said that it is continuing to develop the city’s tourism industry. The Nitzba Hotel (325 rooms), the Braun Hotel (46 rooms), the Bishop’s House (50 rooms) and other hotels are currently under construction. At the same time, planning procedures are under way for a construction permit for approximately 2,000 more hotel rooms.